ICYMI, Rachel Mitchell, the Arizona prosecutor who questioned Christine Blasey Ford last week during her testimony before the Senate Judiciary Committee released the following analysis and as expected, rabid Marxists are not happy. 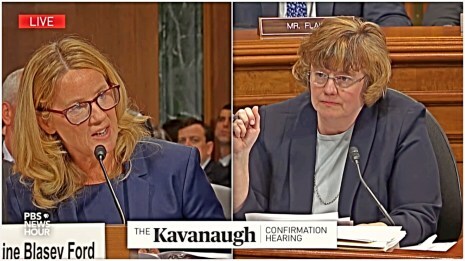 Mitchell points out that about the only thing that Ford is sure of is that as stated last week during her testimony that she is “100%” certain that Judge Kavanaugh raped her [my emphasis]. “While it is common for victims to be uncertain about dates, Dr. Ford failed to explain how she was suddenly able to narrow the timeframe to a particular season and particular year,” she wrote. 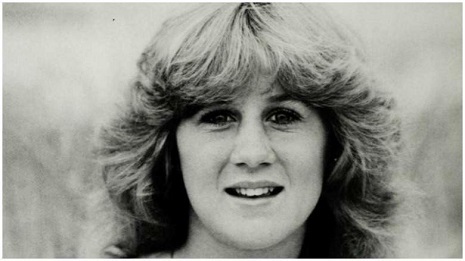 Mitchell also pointed out that Ford has a history of struggling to name Kavanaugh as her attacker. Mitchell noted that his name was not in notes from her 2012 marriage therapy or her individual therapy in 2013. And then there is, of course, the lack of corroboration even by Ford’s friend, Leyland Keyser. I’m not sure who first used this title, and it may even have been me, in 2009, when I wrote a short essay on “Homer Simpson and the Constitution” at RedState.com The line had nothing to do with the content of the essay, and the content of the essay flew way over the head of the editors there, for it argued that all American have the most common of forbearers, and we should pay attention to the lesser in our society for we all arose from that very same stock. It was one of my “never take yourself too seriously” inquiries which is rejected out-of-hand by two generations now. It’s like me telling Jonah Goldberg that in some small junior college in Georgia there is likely a student there from a farm family near Waycross who is as well read and has a wiser understanding of American history and its underlying philosophy than he does. Of course there is, and thousands more, only they will never be heard. It was about humility and gratitude. I think it was Mark Twain who first used “reformed whores”, probably in a piece having to do with the early history of California after the Gold Rush at Sutter’s Mill. Twain arrived there a decade later, when San Francisco was only a pup, so he had more firsthand knowledge of its founding Pilgrim families than most. San Francisco has always liked to view itself as the Boston-of-the-West-Coast, the home of the Founding Pilgrims of California. And in comparison with Los Angeles they may have a point. 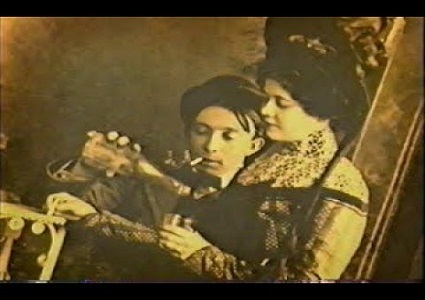 But the joke going around when Mark Twain visited was that Nob Hill, the wealthiest and most blue-blood neighborhood of Bay Area aristocracy, far more than the nouveau riche properties of Pacific Heights where Lady Di lives, was originally settled by got-rich miners and the whores they took as brides. This is where the phrase, “there’s nothing so self-righteous as a reformed whore” comes from, for it’s true, former prostitutes were very anxious to wipe away that social stain. And let me tell you, no Mayflower grand dame highbrow could ever match these 24-carat dowagers on Nob Hill for that perfect down-the-nose self-righteous sense of privilege. But I’m not making fun here. On the contrary, for America is unique in world history for its ability to produce this sort of cultural phenomenon. We had no royalty so a kind of royalty sprung up just by being there first. In Europe a self-educated man from the lower classes might rise to the rank of being able to manage a prince’s finances(Bob Cratchit) but lower class women could not even dream of bathing and squeezing pimples on Elizabeth I’s shoulders, and only the most elegantly educated in the salons of Paris could rise to the rank of courtesan (kept woman, er, whore) such as Milady de Winter. But here in America a girl of 19 in our first century could barely get a bath once a week, and barely a change of underwear, yet she could strike it rich by meeting a man who struck it rich and then get to bathe in a gold tub by 30. Or maybe she would only marry a man who world build the only granary within fifty miles. BY Nebraska standards, rich. 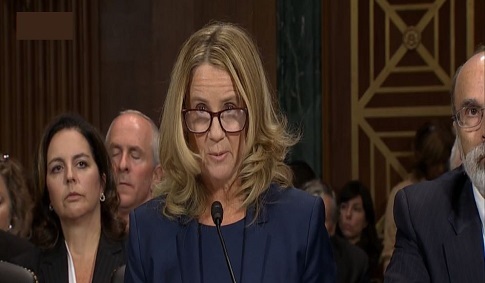 Very clearly, Christine Blasey Ford lied during her time in the spotlight at Thursday’s Senate confirmation hearing for Brett Kavanaugh. Certain laws of nature are involved here, for when a person says something that is clearly not so, as one of these people did, there are only four possible reasons why; 1) mistake 2) lie, 3) ignorance (stupidity), and 4) delusion. She lied because, as Brit Hume of Fox News so ineloquently put it, Bret Kavanaugh had more evidence supporting his denial than did Christine Blasey-Ford in adding weight to her accusation. I haven’t watched Fox News in several months. Any of it. I’m now addicted the space monsters on Comet Network and the Military History Channel. One of the reasons I stopped was that, since the election almost every element of the media, all political establishment insiders, had begun to lead (or follow, one is never sure) the national Democratic Party, in some of the most exotic plots against the Trump Administration and its very right to exist. known to man. 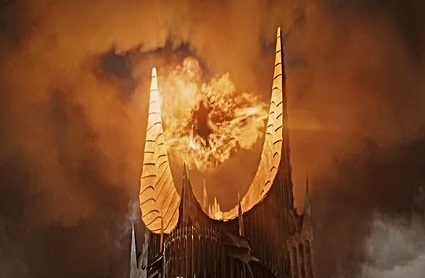 This began on Day One in February, 2017, and has not just continued unabated, but grown to perilous dimensions, including the rise of a new term in the people’s lexicon, “the deep state”. This Kavanaugh episode is but a side show to that larger conflict, what the British in India called the Great Game, and Henry Gondorf, a Chicago grifter in the 30s, called the Big Con. Long story short, for various reasons I suppose, while Fox News would never go along with this Game as played by the rest of the media and its partners in crime in government, neither would they just out-of-hand condemn it. Fox might speak of lies by their competition, and a few politicians, but they would never call them out, never crossing the boundary between “lies and damned lies” as Mark Twain so eloquently pointed out in the 19th Century, when those words alone could cause the drawing of pistols..
To call a man out as “damned liar” was once a big deal. And only this past week I urged members of the Republican Party leadership to do that very thing. I suggested the Republicans throw down on the Dems, warning them that if they brought a knife, we’d bring a gun, Mutually Assured Destruction (MAD).